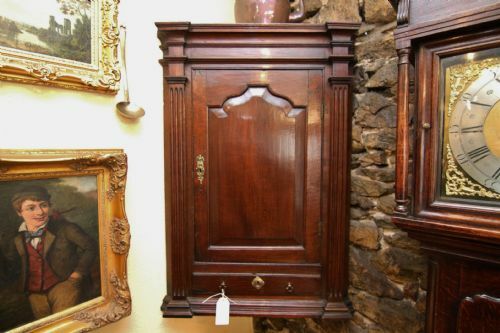 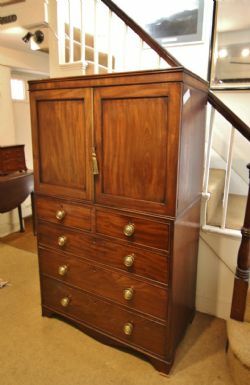 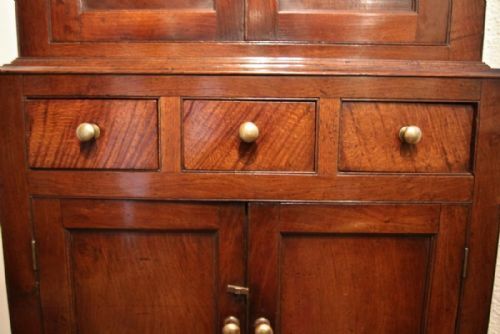 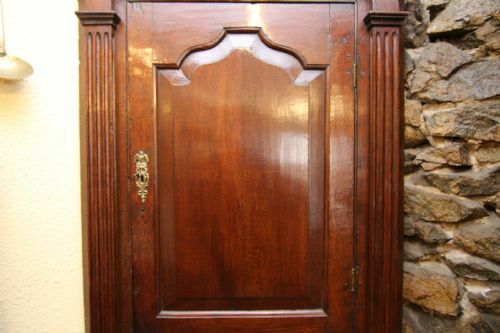 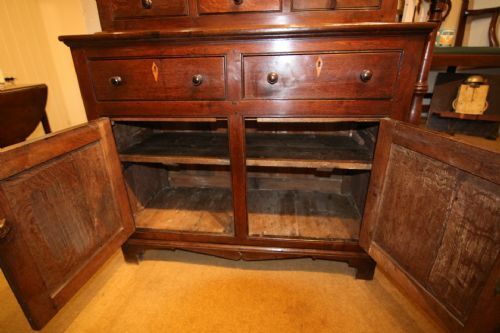 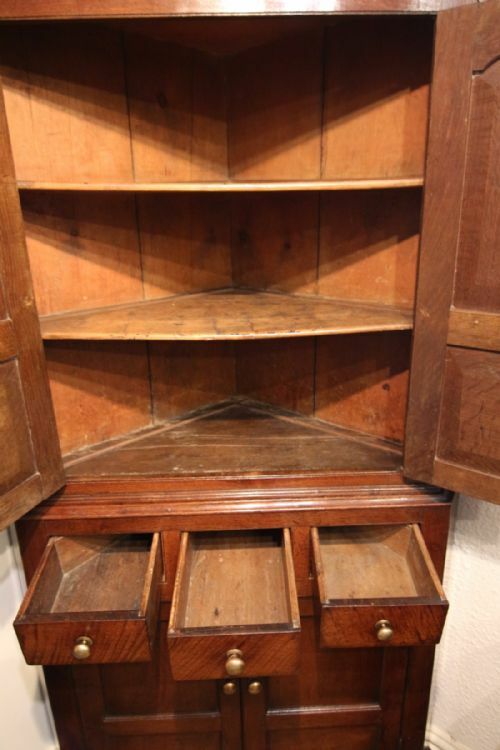 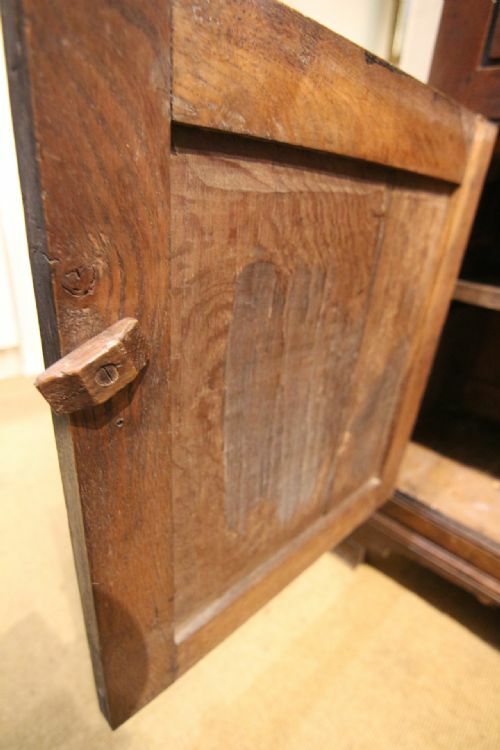 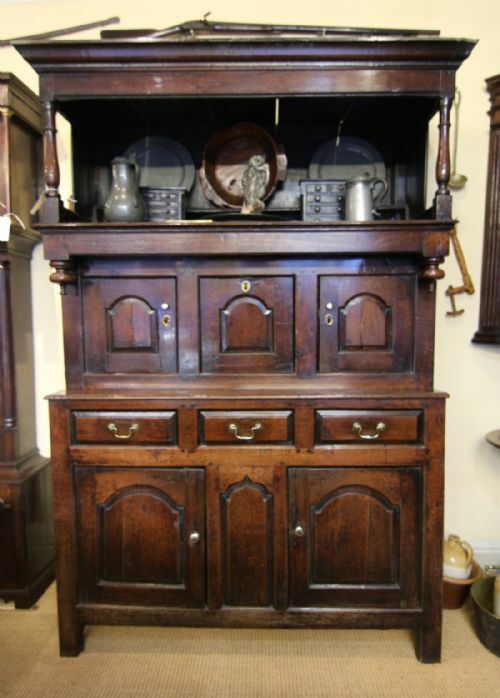 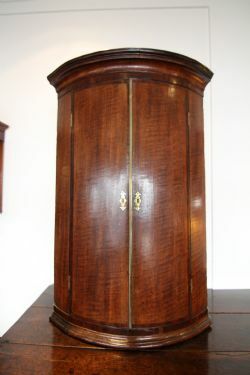 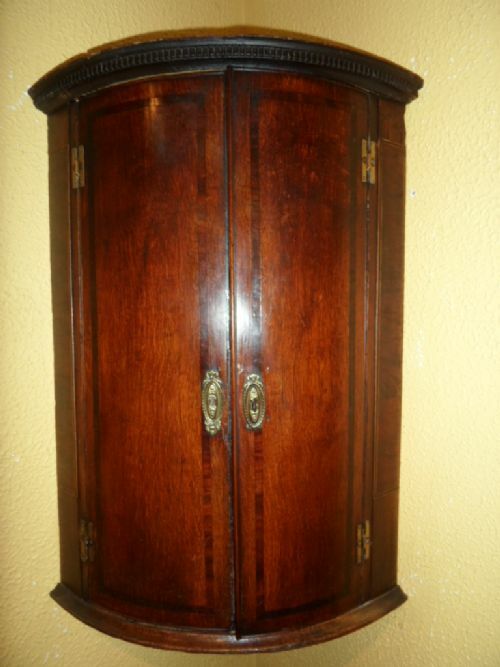 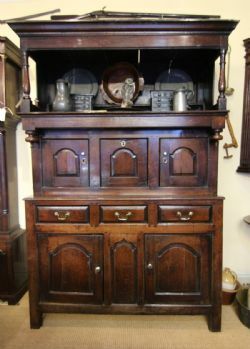 AN EXCELLENT EXAMPLE OF A LATE GEORGIAN WELSH OAK FLOOR STANDING CORNER CUPBOARD, WITH OGEE CORNICE ABOVE RECESSED SHAPED PANEL CUPBOARD DOORS, SHELVED INTERIOR, THE LOWER SECTION WITH THREE FIGURED OAK FRONTED FUNCTIONING DRAWERS ABOVE RECESSED PANEL CUPOARD WITH SHELVED INTERIOR, STOOD ON SHAPED BRACKET FEET. 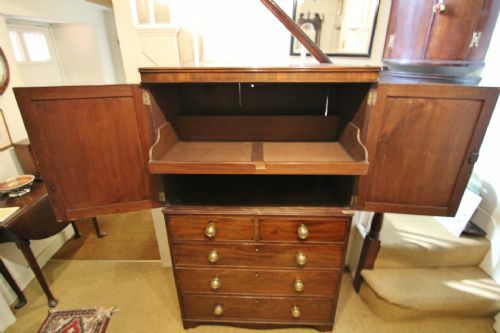 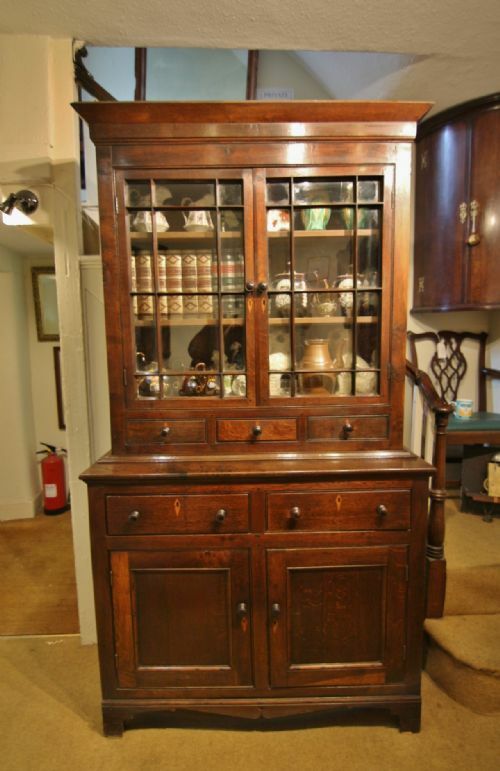 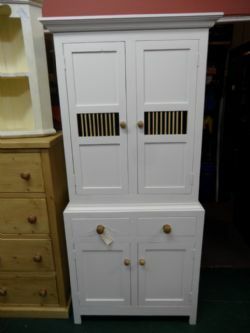 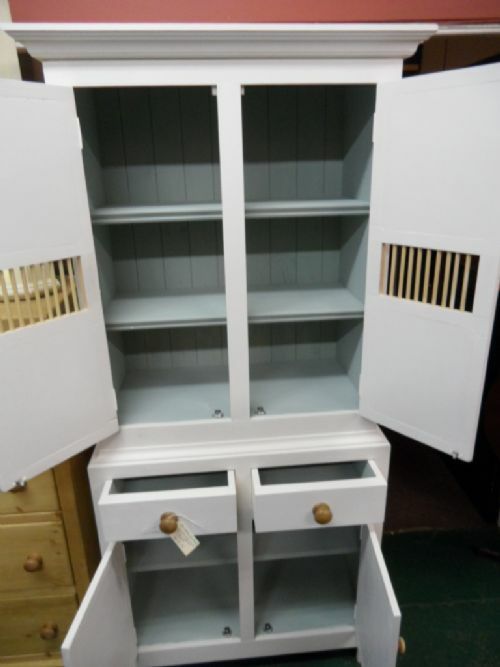 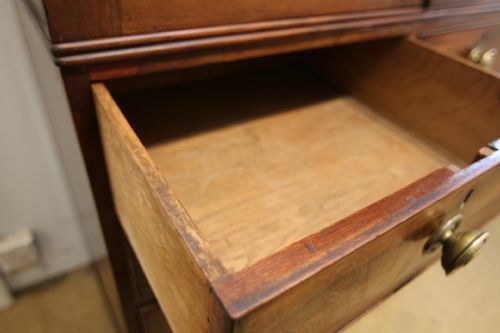 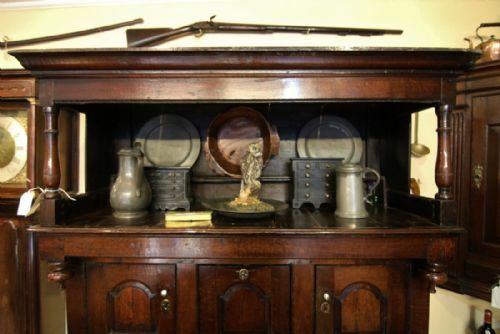 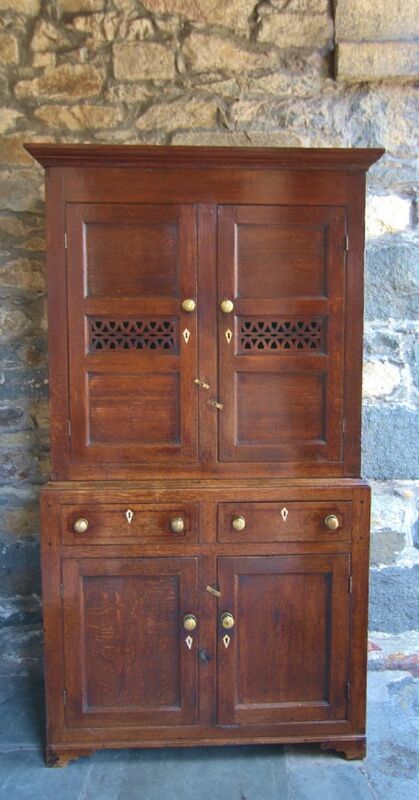 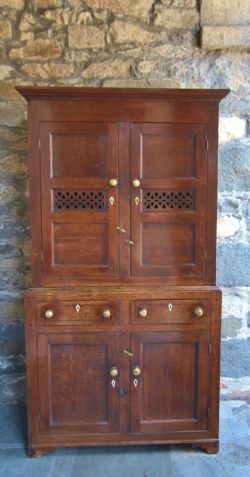 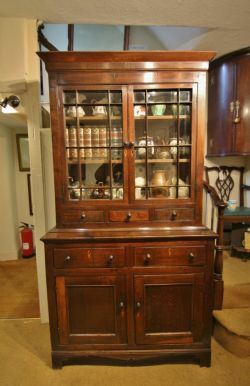 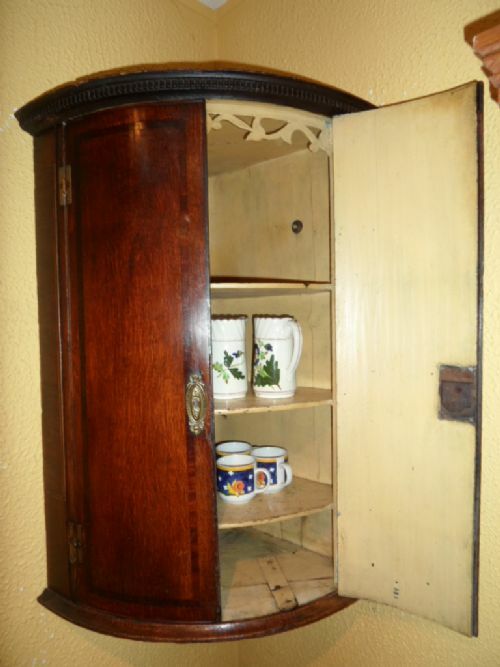 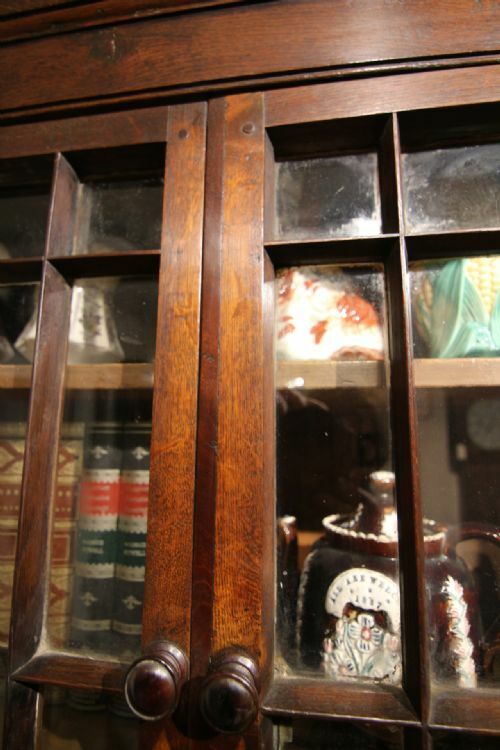 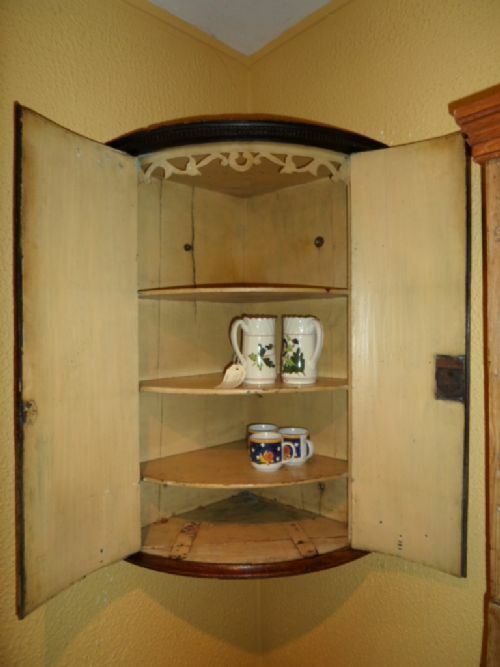 A NICE EARLY 19TH CENTURY EXAMPLE OF A COUNTRY MADE WELSH GLAZED CUPBOARD IN TWO PARTS; WITH PLAIN CORNICE ABOVE 12 PANE GLAZED CUPBOARD DOORS WITH SHELVED INTERIOR, A BANK 3 SMALL DRAWERS, THE LOWER SECTION WITH TWO DRAWERS ABOVE RECESS PANEL CUPBOARD DOORS, PANELED SIDES, STOOD ON SHAPED BRACKET FOOT. 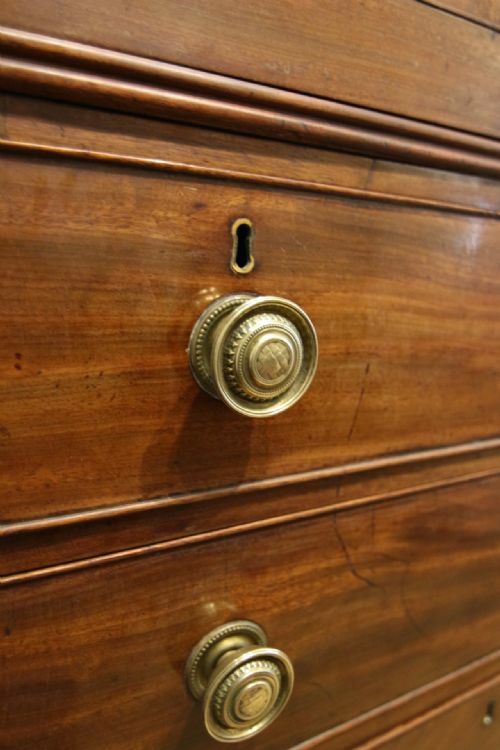 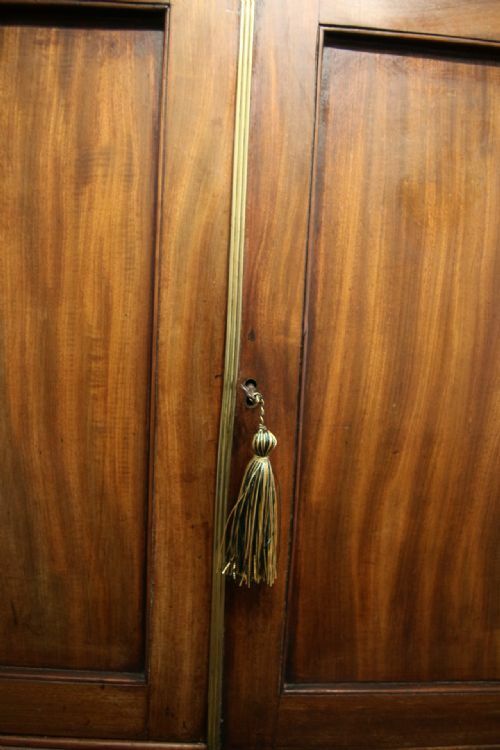 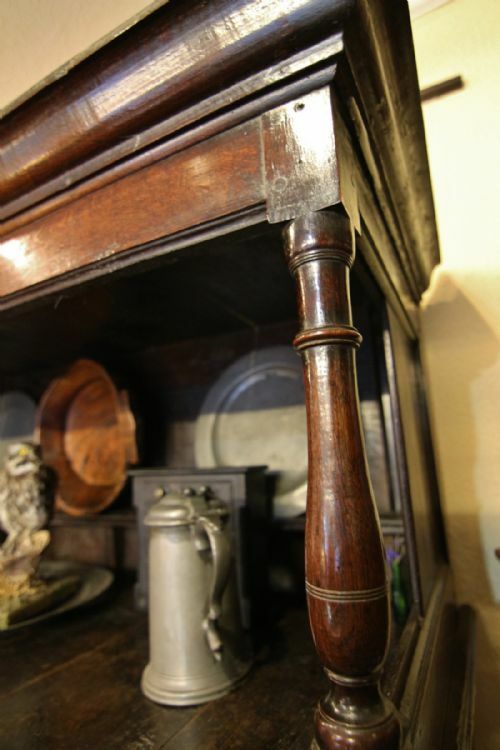 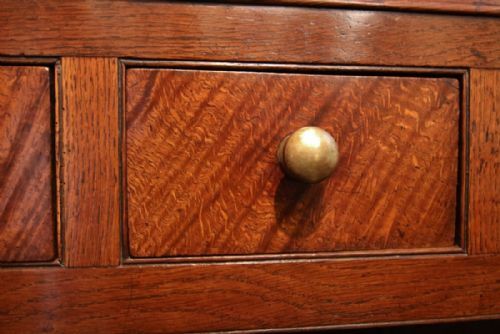 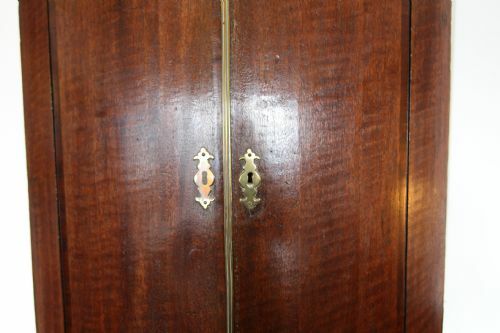 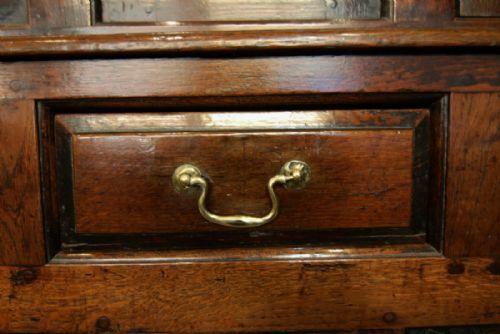 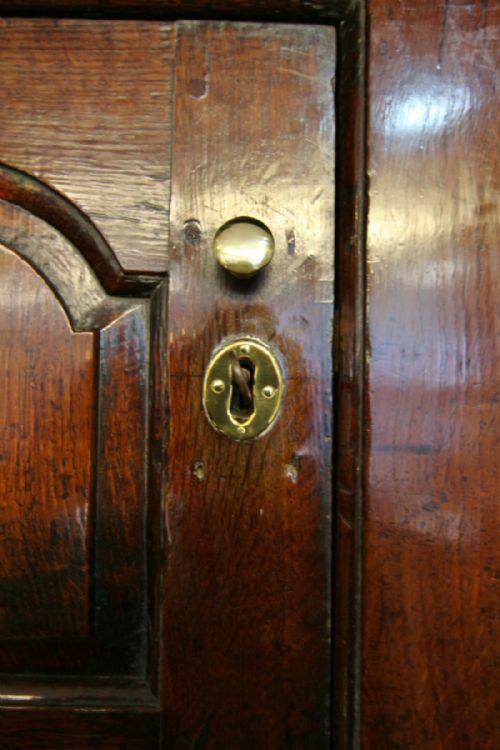 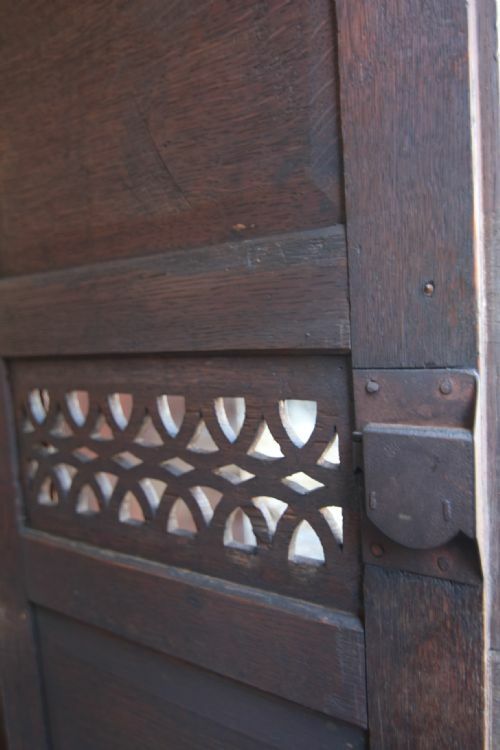 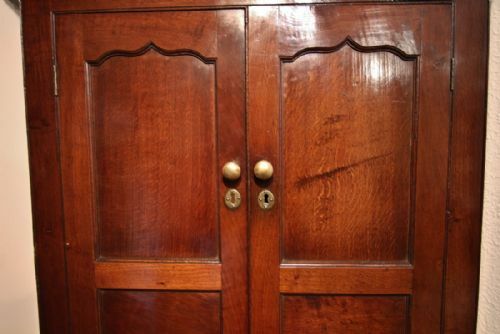 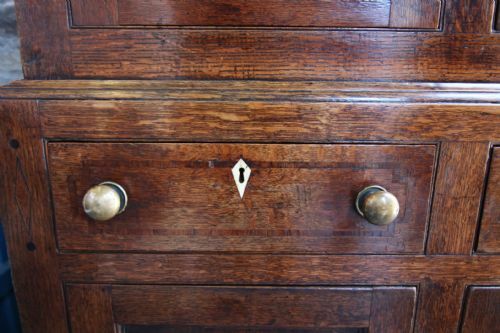 GOOD ORIGINAL TURNED HANDLES AND FRUITWOOD DIAMOND ESCUTCHEONS. 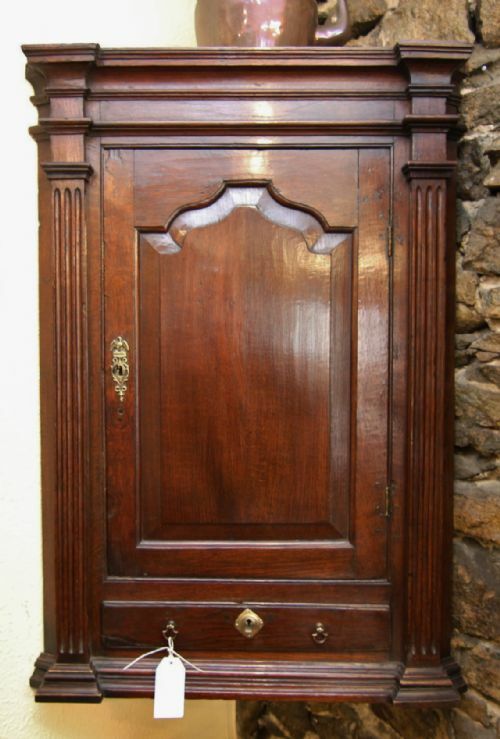 NICE DENSE FIGURED WELSH OAK USED IN ITS CONSTRUCTION & WELL PROPORTIONED. 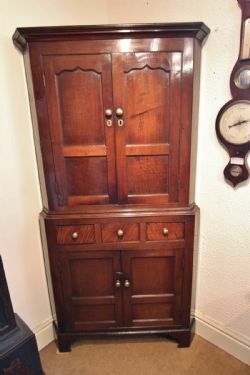 BOUGHT PRIVATELY IN NORTH WALES. 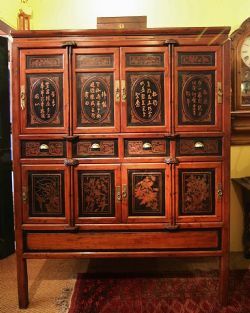 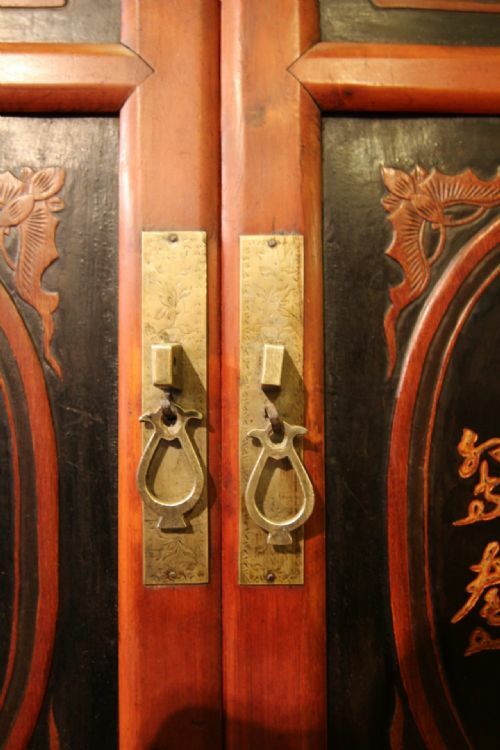 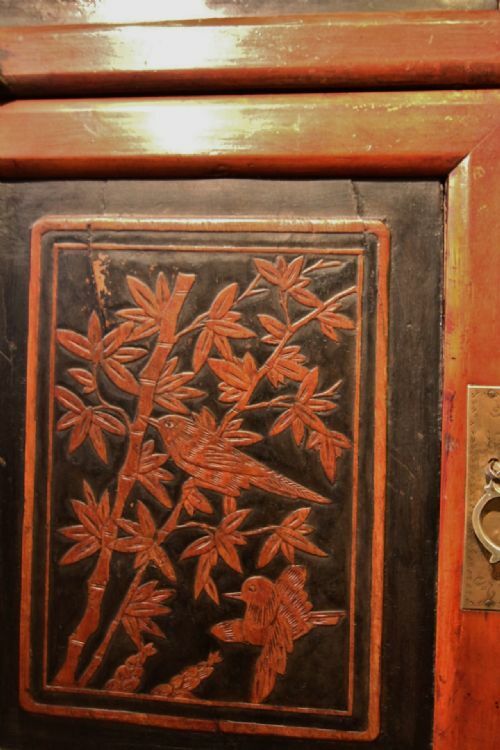 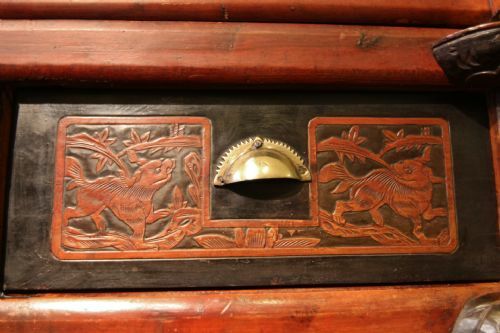 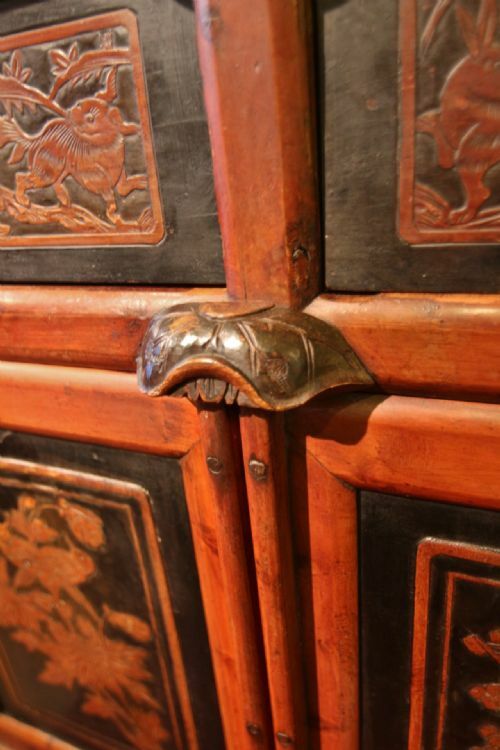 AN IMPRESSIVE 8 DOOR CARVED AND POLISHED CHINESE CUPBOARD, WITH DROP IN REMOVABLE RECESS SOLID PANEL DOORS, BEAUTIFUL DETAIL TO THE RAISED CARVINGS HIGHLIGHTED BY BLACK LACQUERED BACKGROUND, RAISED CARVED CHINESE INSCRIPTION TO THE DOORS OPENING TO REVEAL SHELVED INTERIOR, A BANK OF FOUR DRAWERS WITH ORIGINAL ENGRAVED CUP HANDLES, THE LOWER SECTION AGAIN WITH CARVED PANEL DOORS AND UNSHELVED INTERIOR. 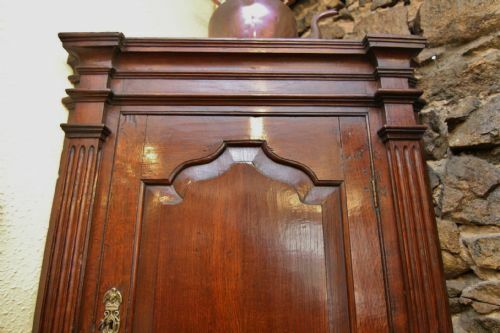 REISED PANEL SIDES AND SOLID TIMBER BACK, THE WHOLE STOOD ONE PIECE ON STILED LEG. 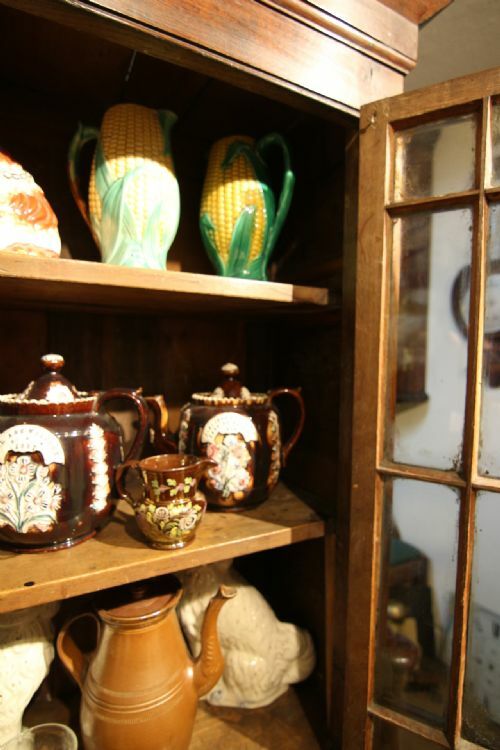 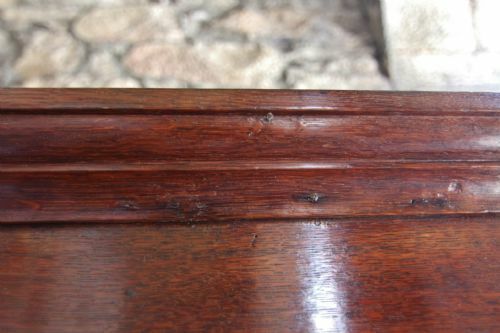 VARIOUS OLD MINOR REPAIRS AND IMPERFECTIONS COMPOSITE WITH AGE AND USE BUT OVERALL CLEAN & FUNCTIONAL DECORATIVE STORAGE PIECE. 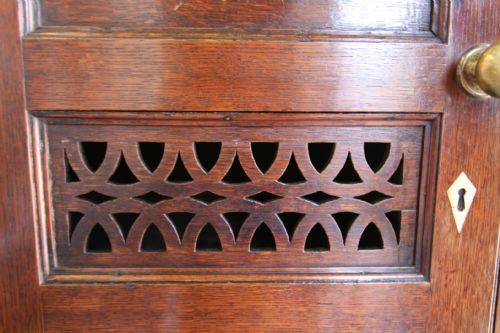 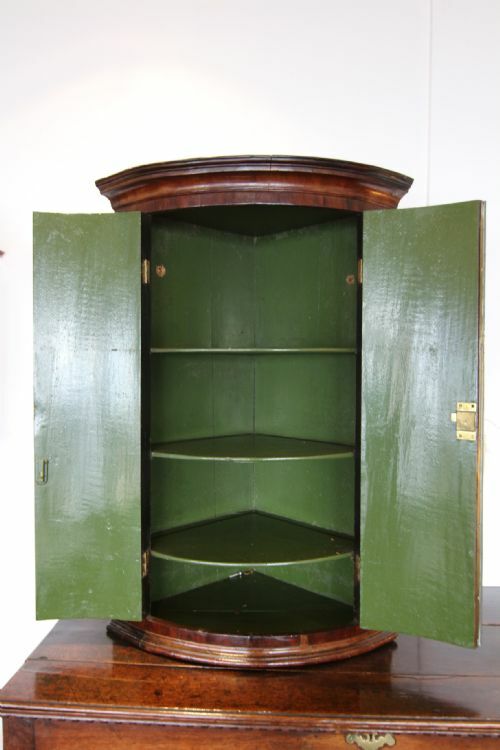 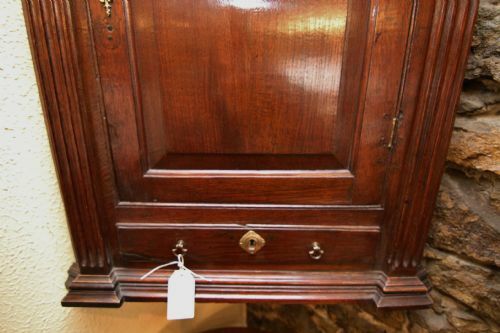 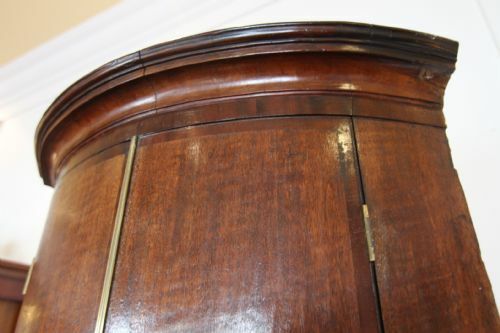 A GOOD CLEAN GEORGIAN OAK CORNER CUPBOARD WITH MAHOGANY CROSSBANDING, BRASS MOULDING AND NICE PERIOD ESCUTCHEONS, AND VIBRANT GREEN SHELVED INTERIOR.